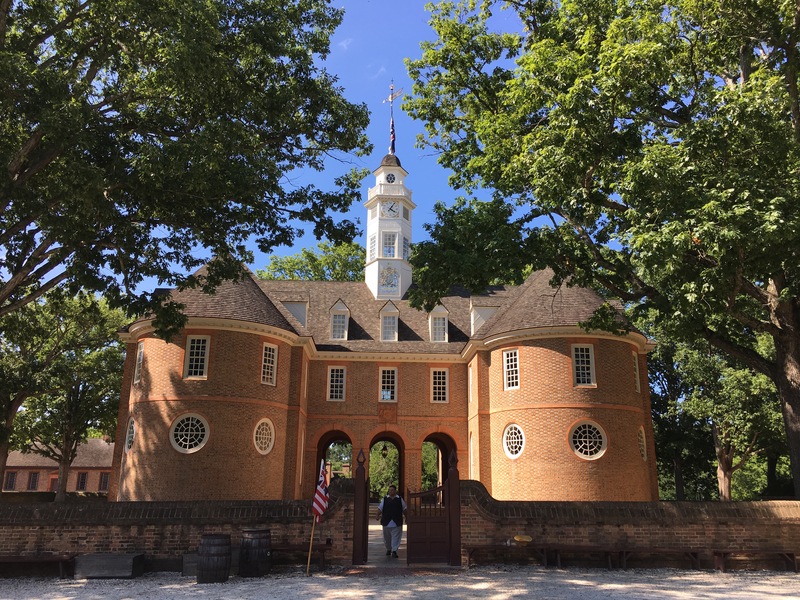 I began my study of George Washington at my favorite Colonial Williamsburg. When I received my grant on Robert Bolling, I spent a great deal of time in the John D. Rockefeller Jr. Library, aided by the wonderful people there, so I knew they would be a good place to start today (7/7/17). 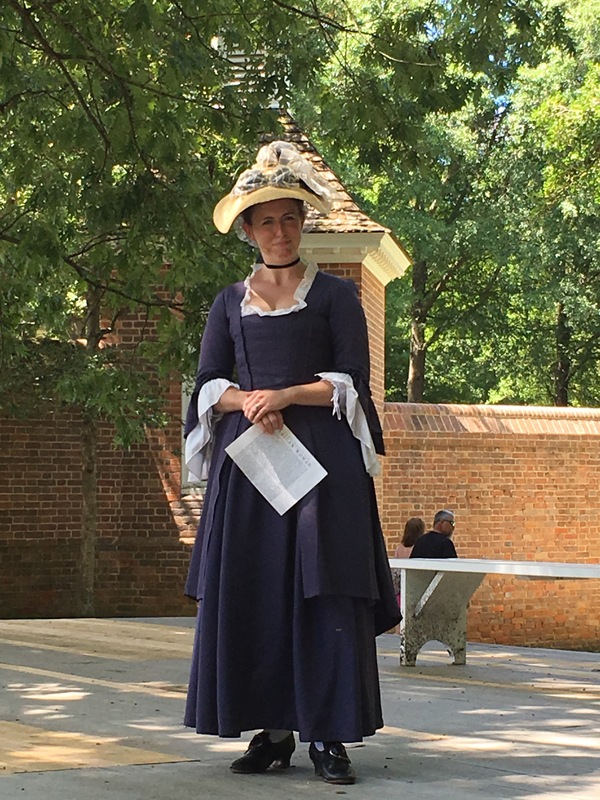 Lady Washington’s presentation was mostly concerning the role of women in the war, but more specifically her duty to her husband. When they had married, George had promised her he wouldn’t be involved in battle again. But, when he is selected by the Continental Congress to hold the position, he feels duty bound to accept. Martha, also has an amazing sense of duty which will compel her to the winter camps to be with her husband. Ironically, she receives the final persuasion to go from reading in the newspaper that she is a Tory, estranged from her husband, and not supportive of the cause. Obviously, this makes her aware of the role she plays in the new nation’s formation. So, for the next several years, she will spend the winters with her husband in camp, where many of the men will view her as a mother and caretaker to them all. It definitely gave the audience a lot to think about in regards to our current soldiers and their families. 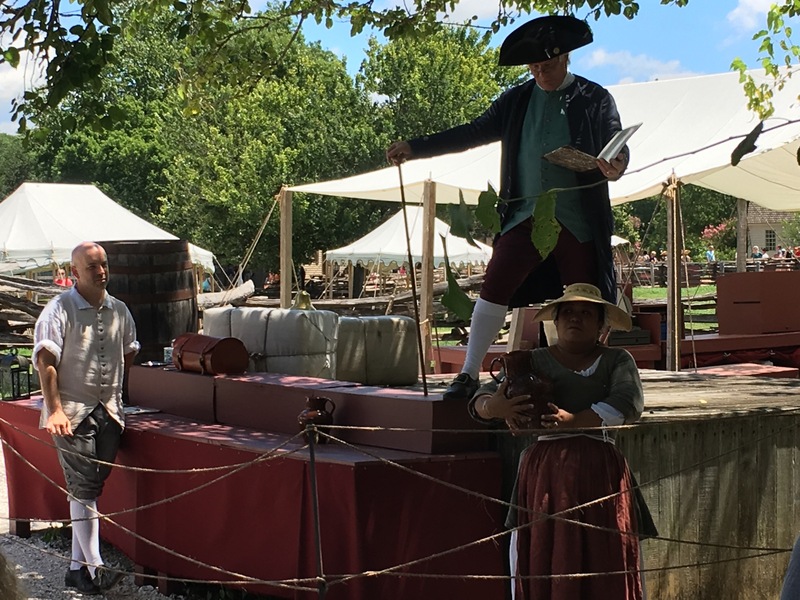 After seeing Lady Washington, I wandered around a bit and stumbled upon an auction in progress. This is a newer addition to Williamsburg and one of the changes I actually like. 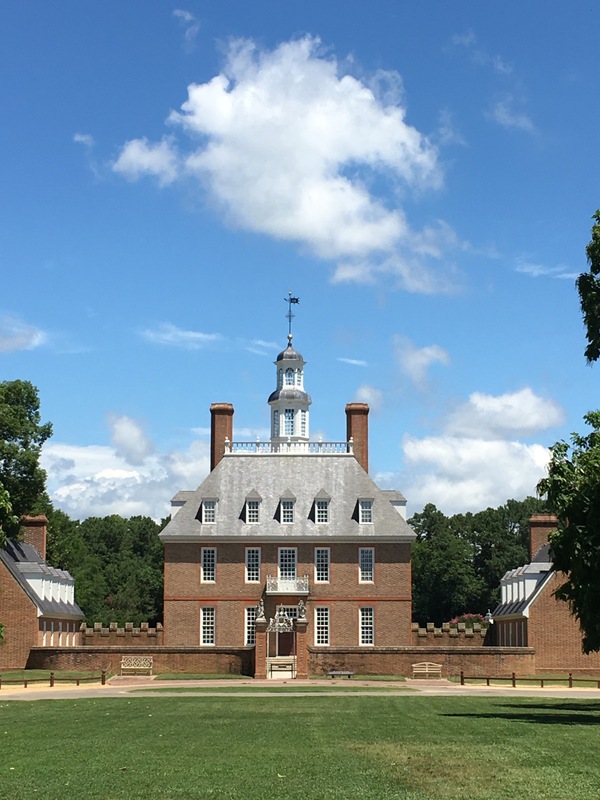 Daily during the summer and on Saturdays the rest of the year, Colonial Williamsburg conducts a public auction (not requiring an admission pass). During the auction, bids start usually at half price on items available in gift shops and a few special items unique to the auction. It was an incredible experience! It’s also the only auction I’ve seen where the auctioneer will occasionally give you items for less than you were willing to pay. I had bid up to $10 on a hatpin, and he dropped the bid back to $5! Definitely a fun addition. After the auction, I decided to buckle down for the heat of the day, and made my way to John D. Rockefeller Jr. Library, where I received my second surprise. There was a sign on the window that due to the cuts, the library would no longer be open to the public, except by appointment–which I didn’t have. Another loss from lack of funding. Thankfully, however, one of the librarians saw me gaping and let me in. Those who were there were willing to work with me, and I spent the next four hours pouring over Washington’s papers. One of the managers was also able to email the man who plays Washington, as an artist on the palace green informed me he had been required to do a year of reading before being allowed to play Washington (You see what I mean about these guys knowing their stuff.) I haven’t heard back from him yet, but I’m excited for the process. There were several cool things I discovered while doing research on the young George Washington. I started with his diary entries as a 15 year old! These were mostly about his surveying activities and discussions of hard times he had with lodgings (sleeping on scant hay with vermin infested blankets.) But, he also included a passage about seeing an Indian war dance. I copied down his description for use in my book. Knowing how much Washington would deal with the Native Americans in the future, I found it interesting to read these early impressions. Reading Washington’s own thoughts really gave me a sense of his voice. I especially loved his dealings in the French-Indian War. Two things particularly stood out. First, Washington even at this time was honing his spy skills. He evaluated land for its potential defensability. He also used time in the French forts to scout their resources. His level of observation (telling how many cannons and which types, the number of men, and areas of the fort that were vulnerable) give indication of the strategist he would become. It also helped me understand the information he requested of the Culpepper ring. The second thing that interested me was his dealings with the Native Americans and the propaganda each side used. The French seemed to try to bribe the Indians with goods (mostly weapons or alcohol.) The British, however, protest that they’re fighting this war to preserve the Indians lands, and they offer their protection to the tribes’ old, women, and children. Another interesting thing I noticed (and Washington seems to take exception to) is the fact that the French call the Indians “children” and the Indians refer to them as “fathers.” The British (or at least George Washington on their behalf) calls the Indians both brother and friend. In one letter, he even signs his own Indian name Conotocarious. Ironically, the name (which Washington inherited from his Great Grandfather John Washington) means “Town Taker” or “Devourer of Villages.” In light of our later treatment of Native people, I find that extremely interesting and would love to find the back story. Even more interesting is the fact that when Washington refers to himself by his Indian name, he has just signed his letter “Your friend and brother.” Just a fascinating dance, these interactions between cultures! After studying for the better part of four hours, I decided to head over to Charlton’s Coffee House. As always, there was amazing chocolate and fun information on the house, and on this particular day, it provided a nice place to wait out the short shower of pouring rain. I concluded my day by heading over to the William and Mary Campus Library. The Special Collections researchers had already headed home for the day, but the librarian was able to point me in the direction of Ferry Farm, Washington’s boyhood home. I was surprised this hadn’t come up in my research–I just had information on his birthplace and assumed he went from there to Mount Vernon. But, Ferry Farm is on my way (ish) from the birthplace to Culpepper, so I’ll head there on Sunday. So much to see and do!